Do you have precious jewelries passed on to you by your Mom from her passed generations? 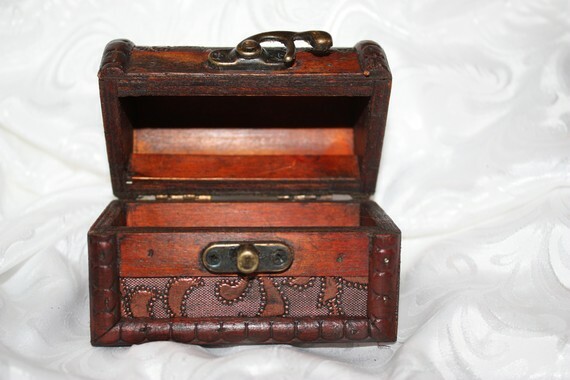 Well we had few and I like to keep those antique jewelries and old coins in precious treasure box also to create a harmonius relationship of the box and jewelries. 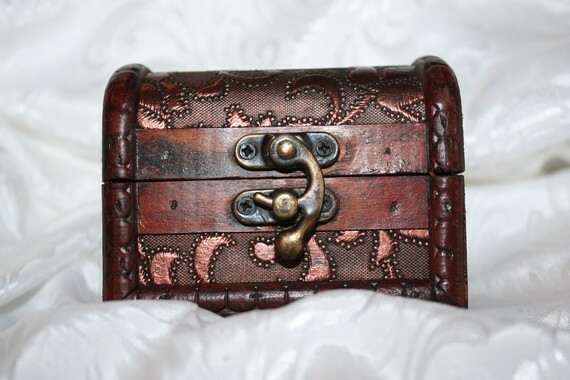 Guess I'm being sentimental sometimes that I long for antique items we had in my Mom's provincial hometown. We left some of our things there when we moved to my father's hometown. 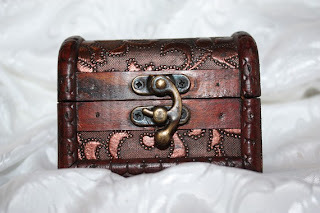 Just as I was being sentimental over things I found these antique swirl tiny treasure boxes at etsy at CreativeFashionista's place. It will be just nice for my old coins, few jewelries and minute things. I love the carved design on it and the rustic hinges and latch which defines its unique and time-old look.